Chronicle Display Font Features: Three Widths | Hoefler & Co.
A uniquely versatile family, Chronicle comes in three different widths, each in a range of weights, with each style including a matching italic. Where the diagonal stress of the Old Style lowercase can make it difficult to condense, and the high contrast of the Modern can limit its range of potential weights, the basic construction of the Scotch is especially well suited to variations in weight and width. Yet surprisingly few Scotch designs have even a Bold Condensed — an indispensable tool! — and fewer still have the range of styles that Chronicle offers. In designing Chronicle, we revisited the very idea of the Scotch in order to produce a design that would naturally support a comprehensive range of weights and widths. Each of Chronicle Display’s three widths (regular, condensed, and compressed) includes a range of weights that’s as succinct as possible, but as expressive as necessary. The smaller-size Chronicle Deck and Chronicle Deck Condensed match each other weight-for-weight. Crucially, all twenty-three romans across both collections feature matching italics, for that midnight headline that unexpectedly includes a movie title. Save $100.00 when buying any three Chronicle Display packages! Three Widths. 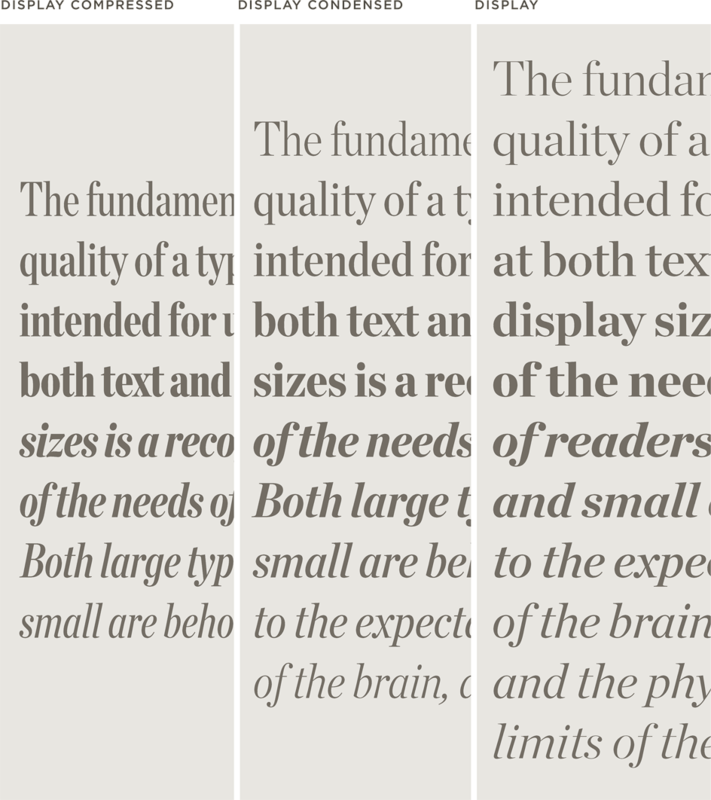 Chronicle comes in three different widths, including a Condensed width for close quarters, and a Compressed for headlines — each font including a companion italic, of course. Optical Size. 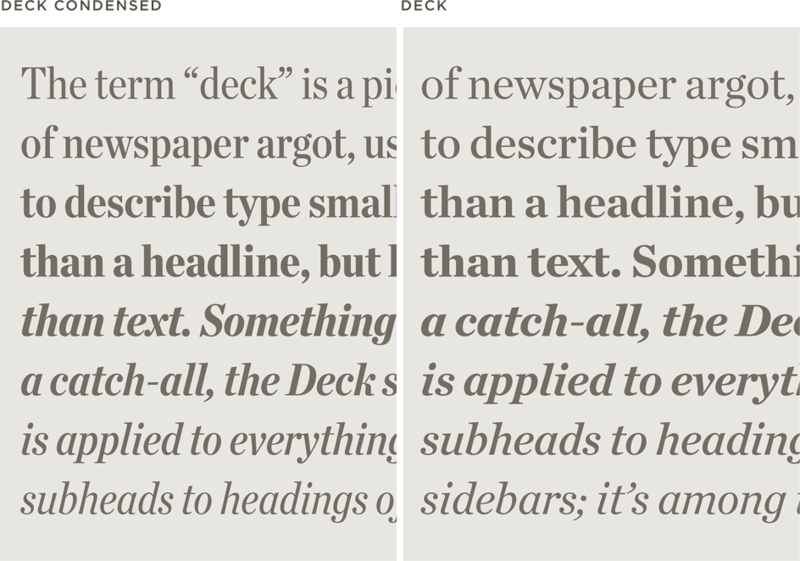 Because fonts work differently at different sizes, Chronicle includes a Display series for large sizes, and a “Deck” series for smaller ones. Language Support. Chronicle features our Latin-X™ character set, covering more than 140 languages throughout the world — including all of Central Europe.